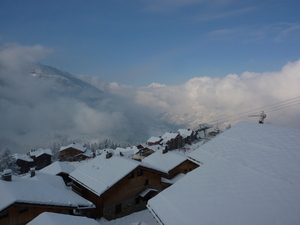 Is it snowing in Sainte Foy ?Thank you! 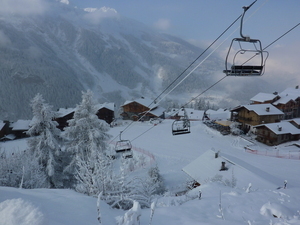 Sainte Foy is a small resort that offers intimate skiing with the emphasis on off-piste but with several giant resorts nearby. Sainte Foy is only really busy when skiers from the big resorts descend to the sheltered tree-lined slopes when storms have closed lifts higher up. 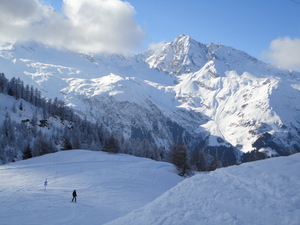 There is powder just yards from the pistes at Sainte Foy which lasts for days thanks to the northwest facing slopes. Take a guide to explore one of the renowned off-piste routes to the deserted farming hamlet of Le Monal, or the infamous 1700 m vertical descent of the north face of Fogliettaz. 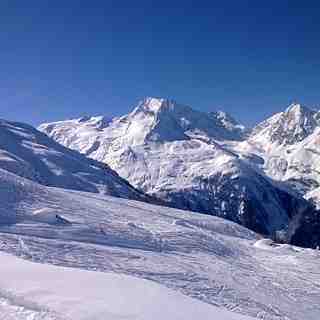 The nearest airport to Sainte Foy is in Chambery. From 8 years old, beginners level, free lessons with the ESF instructor for 16 people from Midday to 2PM. Ski pass and insurance are not included. 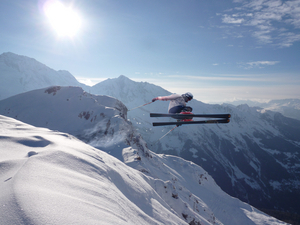 The free registration will be obligatory in the ESF of Sainte-Foy before 11Am the 30th december 2012. No booking by phone or by email will be accepted. 2nd -10th Feb 2019: just got back from our ninth season skiing in Sainte Foy. As usual, it was fabulous; a resort that is all about the quality of the skiing rather than the quantity. 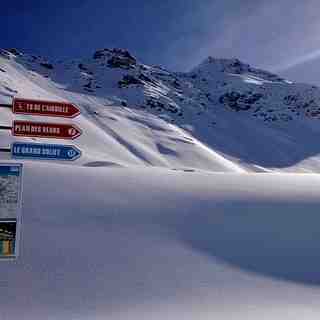 If all you are interested in is looking at your app at the end of the day and seeing how fast you went and how far, then please don't waste anyones time, and stay on the valley road to Tignes and Val. Plenty for beginners and families to ski, and for those more adventurous of us put on your ABS bag and explore the limitless terrain. True, there are not many bars and certainly no clubs. But the restaurants are excellent and at the end of the day a beer with the instructors, lift attendants and pisteurs is something to treasure.